rental period of 12 days. Example found on 01/10/2019 06:07 AM o'clock. If you choose a different rental period, the price can deviate from the example. This offer was found on 01/10/2019 06:07 AM. I used happycar on a recommendation. I was so satisfied that I now also recommend the site! Liverpool John Lennon Airport, named after the famous member of the Liverpudlian band The Beatles, the airport is the tenth busiest airport in the United Kingdom. The airport is found on the estuary of the River Mersey about 7 miles away from the city center, and the airport is a major arrival point for those wanting to explore the north west of England and north Wales. HAPPYCAR has many options for a Liverpool Airport hire car. We check the prices of international and local providers so that you don’t have to check each website to provide you with the best deals on a car hire to make your money go further on a rental car that fits your specific needs. You have the options of choosing car size, pick up location and type of insurance to ensure you get the best deal on a great car hire! Originally known as Speke Airport due to its location on the grounds of Speke Hall, the airport officially opened in 1933 during the Second World War when the RAF took control of the airport. As RAF Speke, many fights and bombers were built and assembled here such as the Halifax and the Mustang. Normal civilian service resumed after the end of the Second World War. In 2002, the airport was renamed John Lennon, and in 2006, a yellow submarine was placed on display outside the airport. Inside the airport you will encounter a large variety of shops at the terminal, from high street shops to designer brands, and there are also duty free shops where one can buy goods such as tobacco, alcohol and perfume. There also some bars and restaurants where one can sit back and watch some planes take to the sky. Using your hire car Liverpool Airport you can easily reach the city of Liverpool, one of the most vibrant and exciting cities in the UK, with sights and attractions such as the Albert Dock and museums such as the World Museum Liverpool. You can also get further out visit the smaller Roman-walled and Tudoresque city of Chester or take a visit to North Wales and take in the stunning northern Welsh seaside resorts and towns. 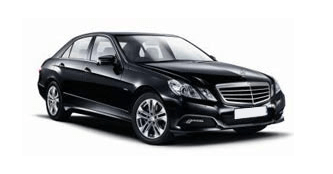 Having a hire car Liverpool Airport gives you the freedom of going where and when you want.